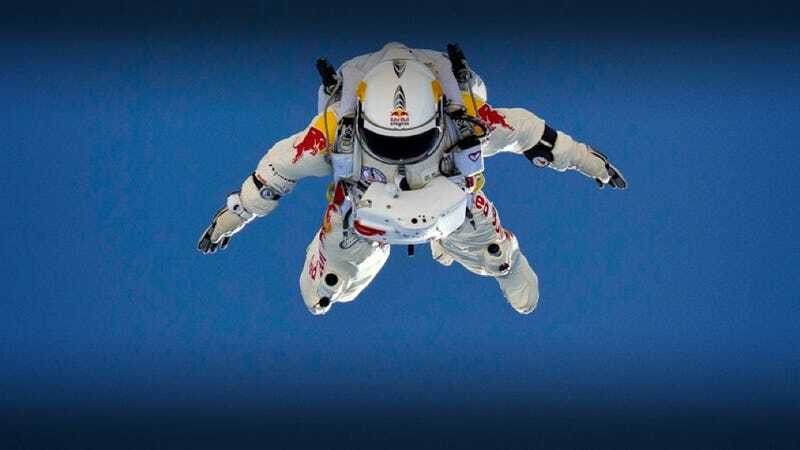 Skydiver Felix Baumgartner just accomplished a feat that adds to Red Bull's ever growing arsenal of extreme sports accomplishments. Baumgartner took a pressurized balloon to 96,640 feet and jumped out. He hit speeds of 536 MPH on the way down and landed safely in New Mexico. It's an improvement over his last jump. His next jump should be from more than 125,000 feet, which would break Joseph Kittinger's skydiving record of a 102,000 foot jump.